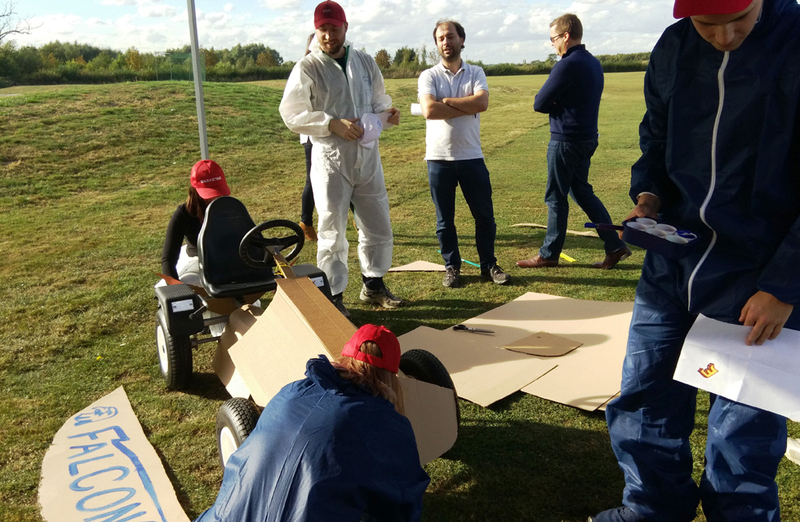 On Friday 30th September, Team Challenge Company had the pleasure of hosting an energetic and highly competitive afternoon in the form of one of our most popular team building services, our Soapbox Derby for the delegates at Data HQ. 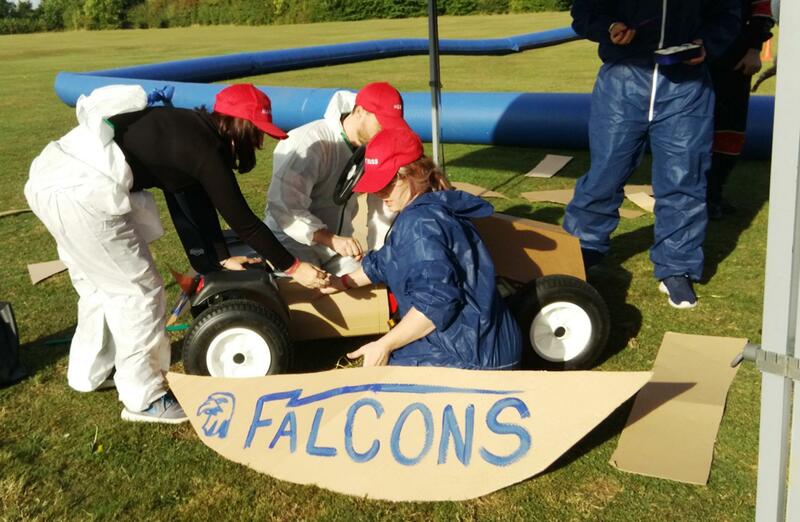 The team were competing throughout the day in three separate phases for the chance to win our Team Challenge Company Winner’s Trophy! 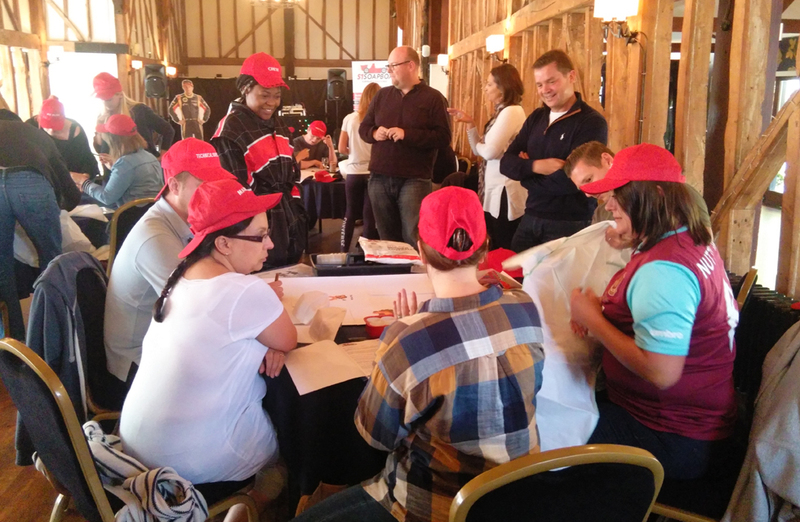 The group from Data HQ were welcomed in to Essex Barn and had time to settle into their teams before getting down to business! 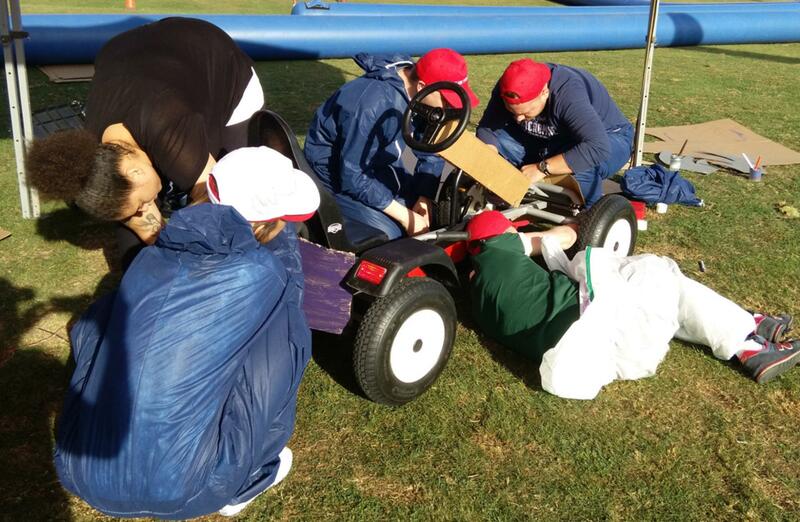 Starting with an introduction to the Soapbox Derby Mission Briefing, the teams were talked through the three phases of the day and introduced to Clare, Dave, Tim and Tom - the Sponsors they would be working to impress throughout the day! 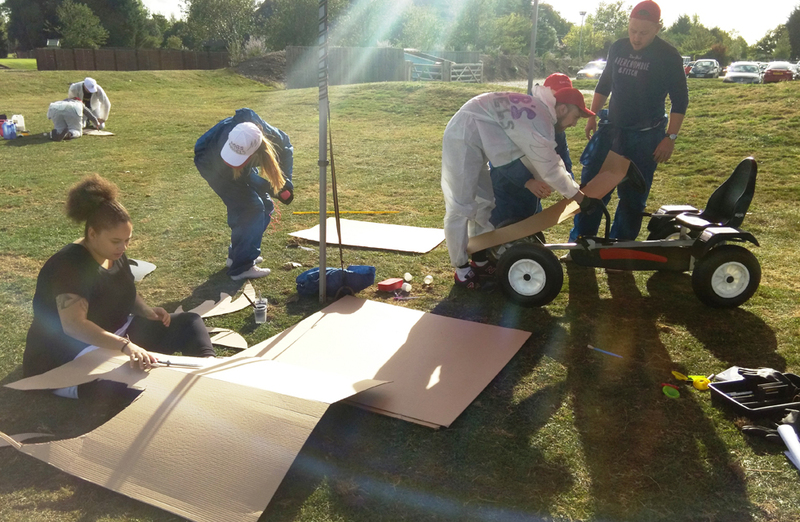 The teams were given their Soapbox Derby boxes that contained all the tools to see them through Phase 1 and 2. 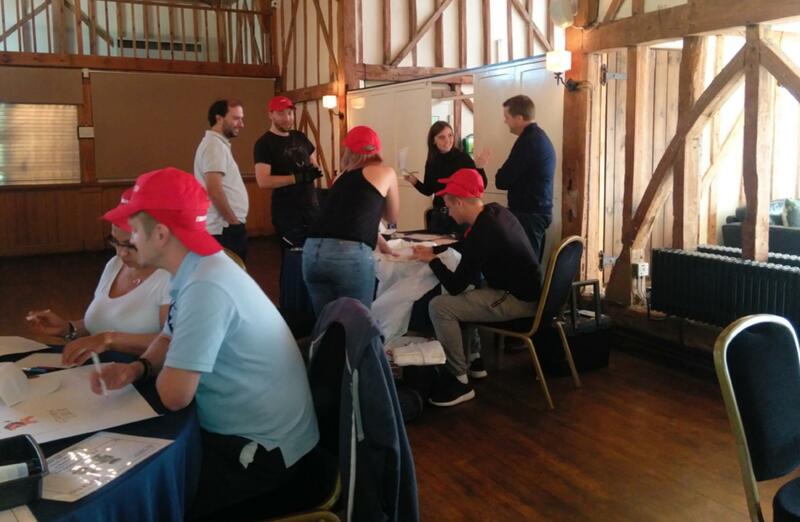 In Phase 1 the teams were tasked with assigning job roles for each of the members from Finance Manager to Pit Boss before coming up with their brand presentations. 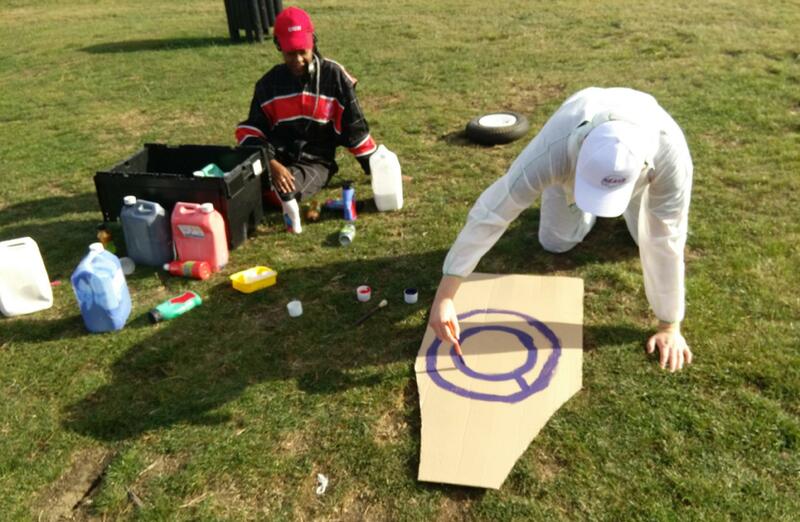 Phase 1 included the teams putting together a 5 minute presentation demonstrating their brand name, logo, strapline, mission statement and 4 brand values as well as pitching towards the sponsors who would be looking for the best sponsorship opportunities. 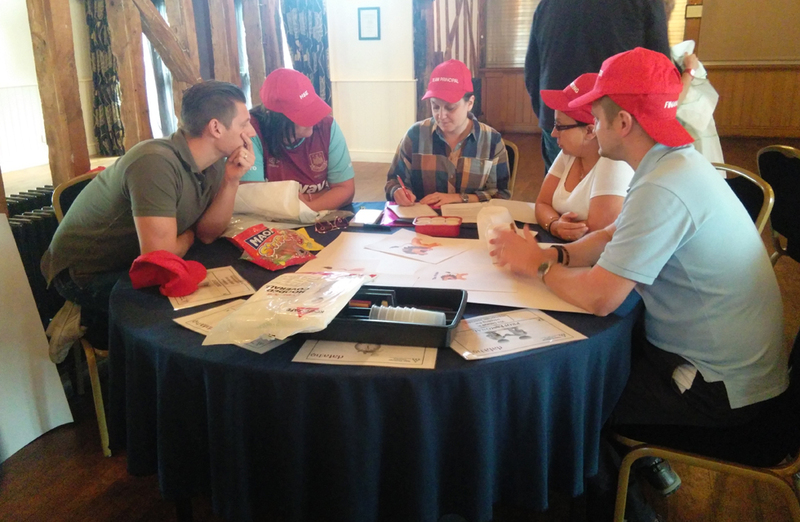 Throughout each phase the teams played one of their company value cards – Responsive, Experience, Integrity, Professionalism and Diligent - which could win them additional points if they were seen to be displaying these values in that phase. 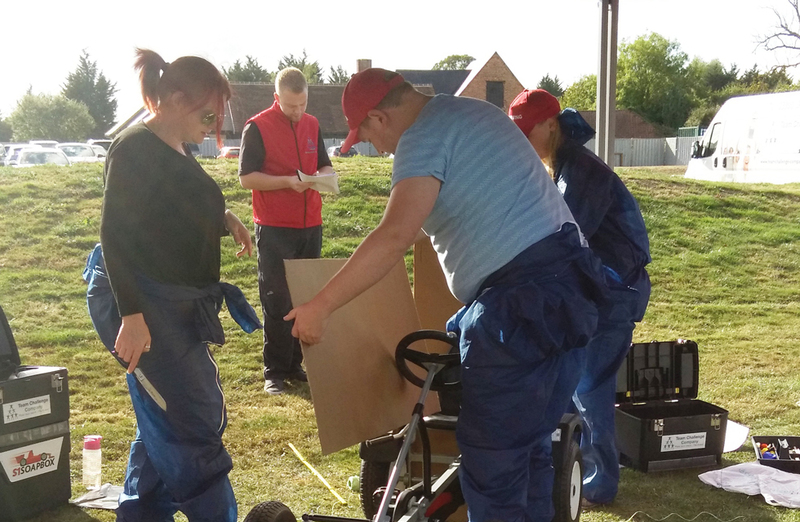 Once the teams had put on their presentations – a very interesting and environmentally friendly one from Blada... and had all managed to be sponsored, it was time for the teams to move onto Phase 2! 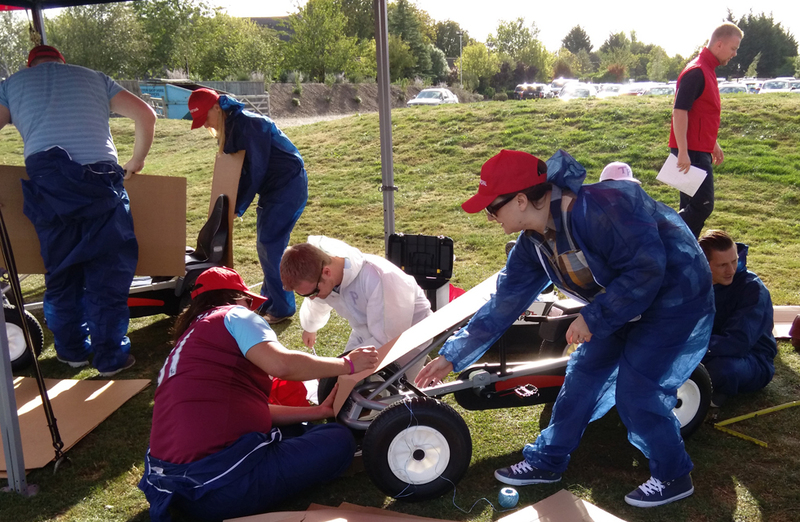 Phase 2 was the Manufacture and Build stage, where the teams were given a variety of materials to design and build a go-kart to race their way to victory and the Winner’s Trophy! 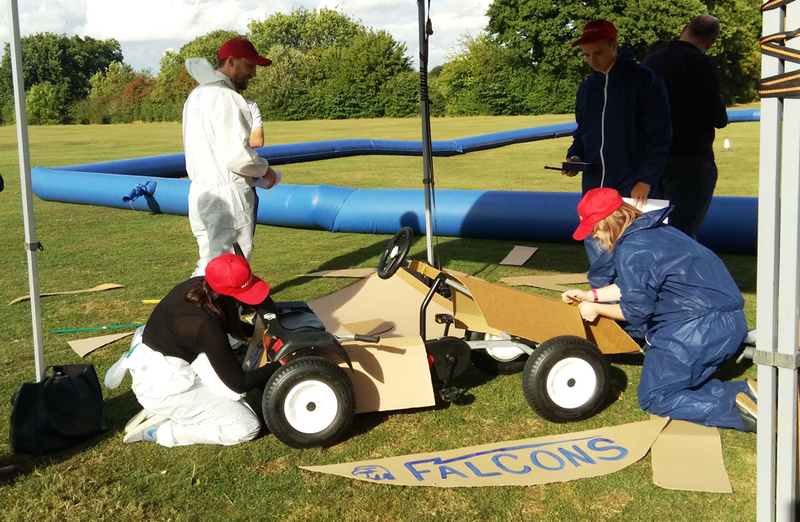 Each kart had specific manufacturing requirements to meet but it was also encouraged that they be as creative as possible – and they did not disappoint! The Falcons upped the standard with their winged kart – the Flying Falcon! 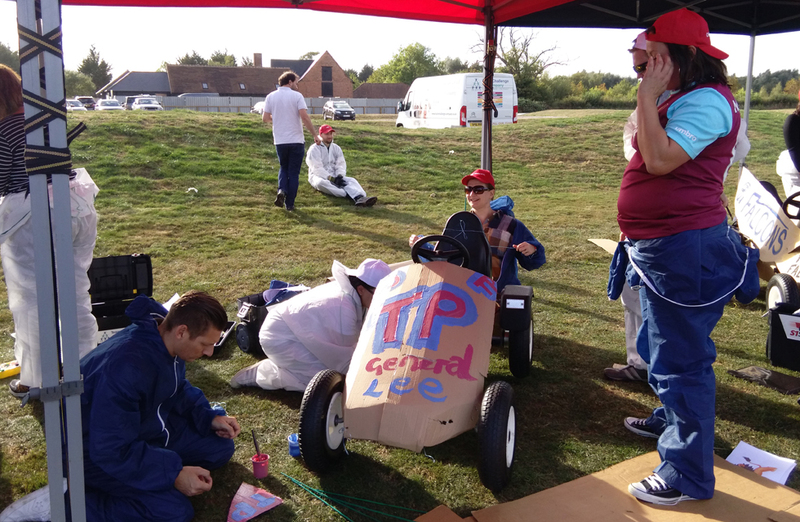 The teams managed to come up with some very... original... names for their karts – The Flying Falcon, Look At My A**e, Urethra and General Lee. 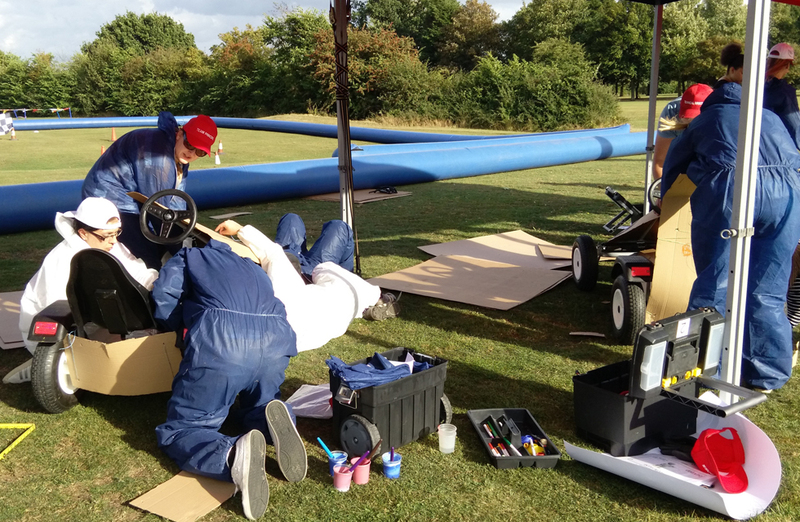 With the karts all covered, logos showing, metal hidden and wings attached it could only mean one thing - it was time to get down to the races! The competition was close but coming in first was Rob’s Angels! 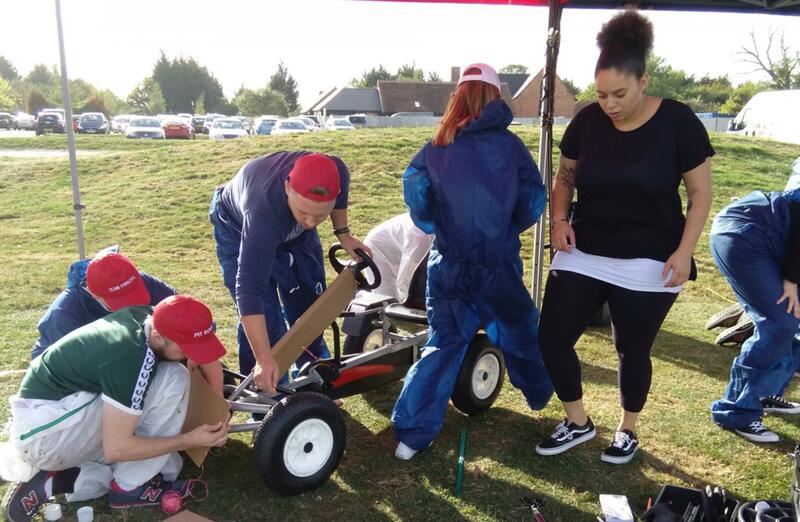 The second and third races were the last chance for our teams to race into top position and with them complete it was time to add all the scores from Phase 1, 2 and 3 and present the Winner’s Trophy! 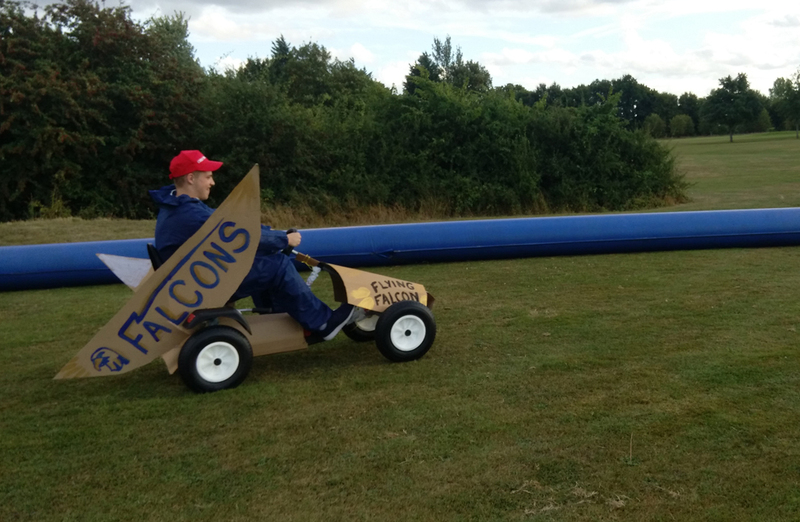 The results were in... Coming in last place and taking home the Wooden Spoon was The Falcons! 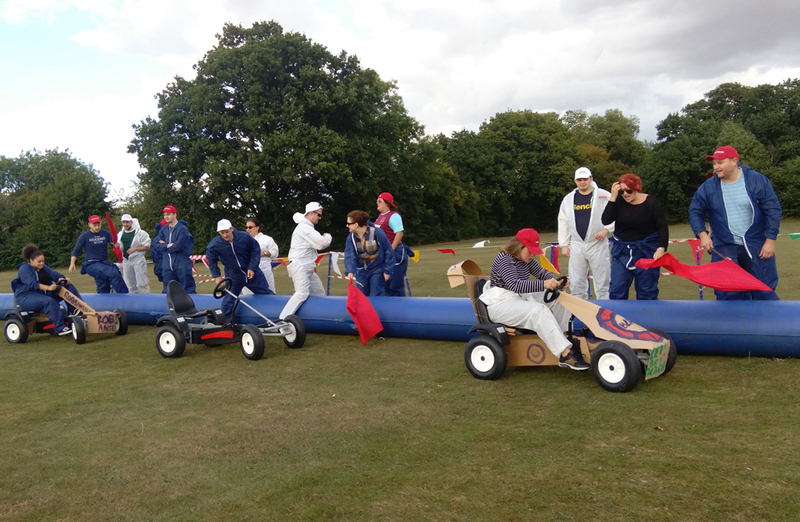 In third place was Blada and taking second spot was Rob’s Angels – which meant in first place and taking home the Winner’s Trophy was The Pride! 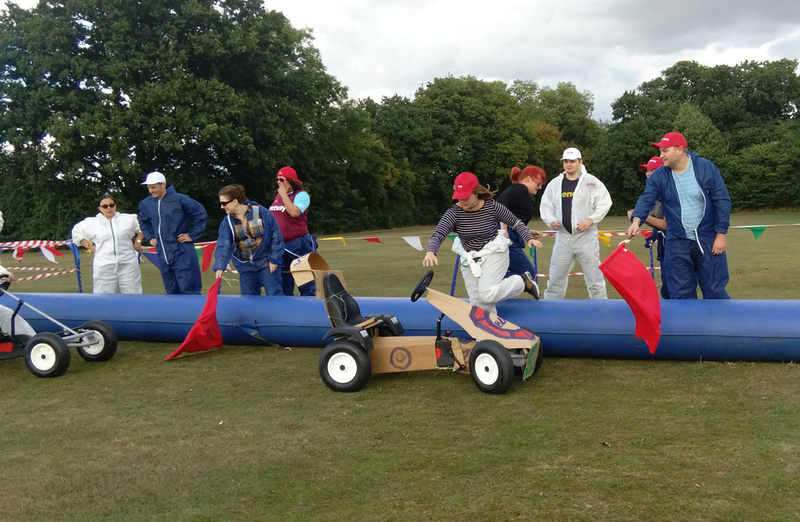 Well done to everyone involved, all the teams done a fantastic job! A huge well done to Clare for organising the day, and to her fellow judges Tim, Dave and Tom for their participation as sponsors. 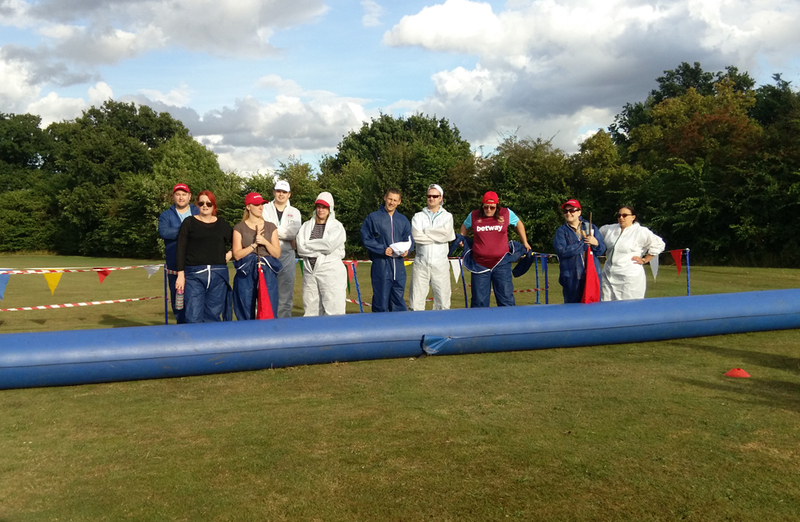 The team had a great time and really enjoyed working with you all, we look forward to working with you again in the future! 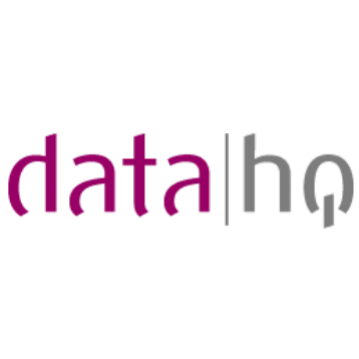 What a great day with everyone from Data HQ! All the karts looked great and I'm sure we're all looking forward to Blada's vegan seat belts being a big hit in the future!